EnviroTech has been protecting local homes and families for over 20 years. 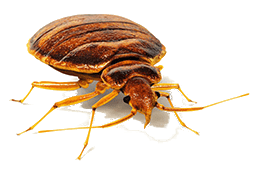 Our pest exterminators provide a variety of treatments including our all-natural bed bug control solutions that effectively deal with your issue without requiring you to leave the comforts of your home for more than a few hours. 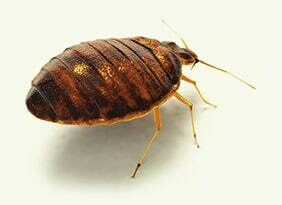 Bed bugs can be an especially tricky pest. There is a good chance that your infestation is not confined to one room in your house. 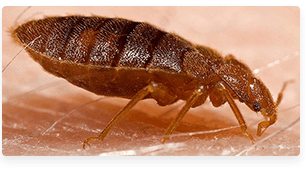 Our technicians have the experience and expertise to understand all the possible hiding spots for bed bugs and thoroughly inspect each possible location. Note: Relying on steam or heat alone doesn’t give you a residual to fight eggs/nymphs and impregnated adults. Based on the severity of the situation, our experts will recommend a customized approach of eradication. We promise you a 100% bed bug-free house, and we guarantee it! If you find that some of those pesky bugs managed to get past our initial assault, we will come back and make sure we treat your house again free of charge.